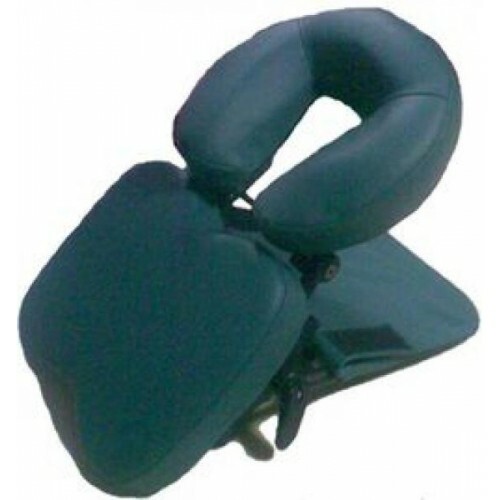 Massage headrest TM-01, buy at a price 66 in Europe. We present you a massage headrest TM-01, which is made in order to make the massage procedure more comfortable. The anatomical headrest is made in such a way to minimize the contact of client with table stitches. Massage headrest is designed for convenient and comfortable procedure of facial massage. Massage headrest does not impair the reliability of the table, thanks to modern fastening system. Concealed fixing, which passes under the rail, does not affect the power structure of the table. This headrest is attached to any model of the table, even released much earlier.